- There is the possibility that the prescription drugs received from these vendors may be counterfeit and may not have been approved by the FDA; the vaccines may not have been approved by the USDA; and the pesticides may not have been approved by the EPA. This has occurred in the past and could recur. - As the provider of your pet’s care, our medical records keep track of all drugs dispensed by us to you. When you purchase your prescriptions elsewhere, our computer tracking system is not activated to print instructions for use or risks of adverse effects or to send reminders for follow-up exams and/or lab tests that may be needed to monitor results or adverse reactions. - You may not have the prescription drug(s) available soon enough to start your pet’s medications at the optimal time to provide relief for his/her condition. - When prescription products are purchased elsewhere, our staff members are unavailable to teach you how to administer them. - Manufacturer rebates that would ordinarily be available for products purchased from this facility generally will not be available. - The manufacturer’s warranties or guarantees for these products may not be valid. This means if your pet’s condition is not effectively treated with the product(s), manufacturers may not stand behind their products or product liability procedures. Additionally, the owners of and doctors at this facility will be unable to assist you in claims against those manufacturers. - Vaccines that are shipped through surface carriers and that arrive at your home unrefrigerated may be ineffective. Even if you reconstitute the vaccines you receive, you may be unable to administer them properly or may injure yourself or your pet when doing so. - Due to the fact the vaccines were not administered by a veterinarian, they may not be accepted as valid by kennels, airlines, licensing agencies or veterinary practices. Telford Veterinary Hospital recognizes the importance of protecting the personal privacy of its clients, its patients and those individuals who simply visit our site. Our primary mission is to deliver the best and most comprehensive veterinary care available for your pet. An important part of the mission is making the cost of optimal care as easy and manageable for our clients as possible by offering several payment options. Telford Veterinary Hospital requires payment in full at the end of your pet's examination and/or at the time of discharge. For some treatments, health care plans or hospitalized care, a deposit may be required in order to begin your pet's treatment. For any hospitalized care, medical procedures or treatment plans with an anticipated cost exceeding $500.00, a 50% deposit will be required. We do not offer in-house financing options in light of the No Interest option that CareCredit offers. We charge 18% APR on all outstanding account balances older than 30 days. If you have an account 90 days past due, Telford Veterinary Hospital reserves the right to relinquish your balance to a third party for collection. Telford Veterinary Hospital charges $30 for returned checks. 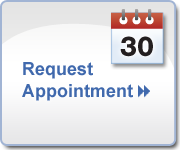 A fee of may be charged for clients who miss or cancel appointments without 24 hours notice. For clients with pet insurance, we are happy to provide you with the necessary documentation to submit a claim to your insurance carrier. 1 If paid within the promotional period. Otherwise interest is assessed from purchase date. No minimum purchase required.